Homeopathic sleep aids have gained in popularity in recent years as more and more people find themselves dealing with sleep problems and are hesitant to use prescription medications. This is due to the fact that they can have serious side effects and in some cases may become addictive. So we turn to the natural world to find what we hope will be safer alternatives that will promote healthy sleeping patterns. But are these homeopathic remedies really effective? 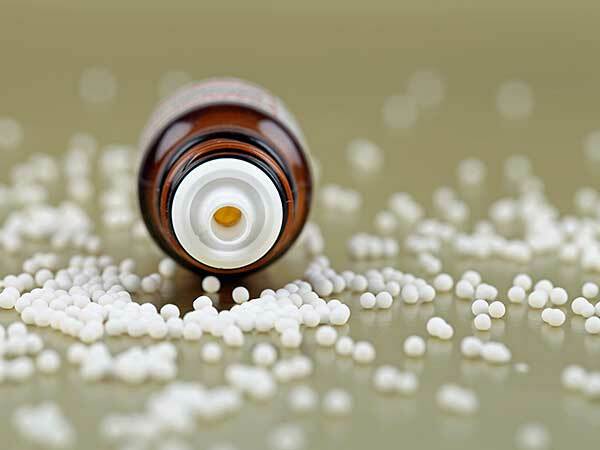 To answer that question we must first understand exactly what homeopathy is. This approach to treatment was first formally laid out by a German physician named Samuel Hahnemann, who believed that every living creature had an underlying spiritual energy and that disease, including insomnia, could be caused by disturbances in this vital "force." As a result he turned his focus toward addressing any issues with the spiritual energy of affected individuals. In researching his new train of thought, Hahnemann came up with the notion that "like treats like", when he used the bark of the Cinchona plant to treat malaria. When the bark caused similar symptoms as the disease itself, he believed that applying the "hair of the dog" to the problem in small doses would effect a cure. Soon, an entire school of thought had arisen called homeopathy, which included treatments for many ailments including homeopathic sleep aids. Soon, many homeopathic treatments, in the form of highly diluted solutions, cropped up promising a natural cure to whatever ailed you. The problem was that there was no actual proof that these "cures" really worked. In fact, relying on them often caused people to avoid traditional medical treatment when it was really warranted, which would only make the underlying condition even worse. And because they are not proven, homeopathic treatments essentially operated on the "placebo effect." People believed they would get better using them and so they did. Unfortunately, this kind of effect never lasts and, as stated above, can actually lead to a worsening of the original condition. Nevertheless, homeopathy continues to flourish and homeopathic sleep aids are one of the most popular segments of this form of treatment. Among the more common homeopathic treatments are Arsenicum Album, Coffea Cruda, Lycopodium, and Nux Vomica. Each of these solutions works to target particular causes for insomnia. For example, Arsenicum Album works to calm anxiety and fear while Coffea Cruda, a distillation of coffee, works on the "like treats like" theory, using caffeine to treat sleeplessness caused by jittery or "wired" feelings. Lycopodium targets waking from hunger and Nux Vomica is designed for those who wake frequently during the night and are irritable during the day as a result. While some people swear by these remedies, again there is no scientific proof to back their claims. In stark contrast to homeopathy, there are some natural remedies that do work. Herbal sleep aids such as Chamomile, Kava, Valerian, and Catnip can all be used to calm anxiety, relieve stress and promote healthy sleep patterns and they have actually been proven to work. The bottom line is that, while there is nothing wrong with seeking a natural solution to your sleep issues, you should be very careful about what type of natural treatments you use. While seeming to be promising for insomniacs, homeopathic sleep aids really offer nothing more than an elaborate placebo effect. If you really want to go the natural route, try herbal remedies in order to get the rest you so desperately need.